I knew that I was wrong shortly afterwards. I worked on a project for Glasgow City Council and it was the first time I seriously thought about the idea of skinnier tires and drop bars again. 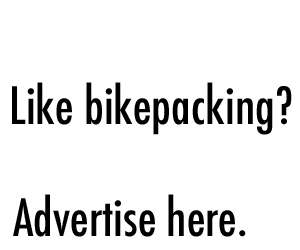 The interesting thing is that my thinking had nothing to do with bikes, but somehow a rigid mountain bike wasn’t really what I would have expected in pictures advertising city cycling routes. For some reason it felt wrong. Fast forward three months. I am about to put the finishing touches on my most recent bikepacking trail. I am yet to decide about a name. I have fallen in love with gravel bikes. But why? The reason is quite simple. It’s called Surly Straggler. It’s not just about the bike, it is also about what I am able to do with it. The nature of gravel riding, fast and adventurous at the same time. When I handed in the proposal for a bikepacking route in Argyll, I hadn’t caught the gravel bug. Yet. In the proposal all pictures showed fat tire bikes. When I got the ok to go ahead, things were different. While I put the finishing touches on the routes in Glasgow I understood how versatile a gravel bike is. It is a bike for pretty much all kinds of riding. Fast road sections were no longer boring, gravel paths were wicked fun, but I was surprised how well the bike handled even gnarly singletrack sections. The Knard tires offered remarkably good grip on all surfaces, in wet and dry conditions alike. And the Halo Devaura wheels swallowed everything with grace and stayed true no matter how tricky the terrain was. In short, the Surly Straggler was the best bike I had ridden in a long time, and now I needed a route to play with it properly. 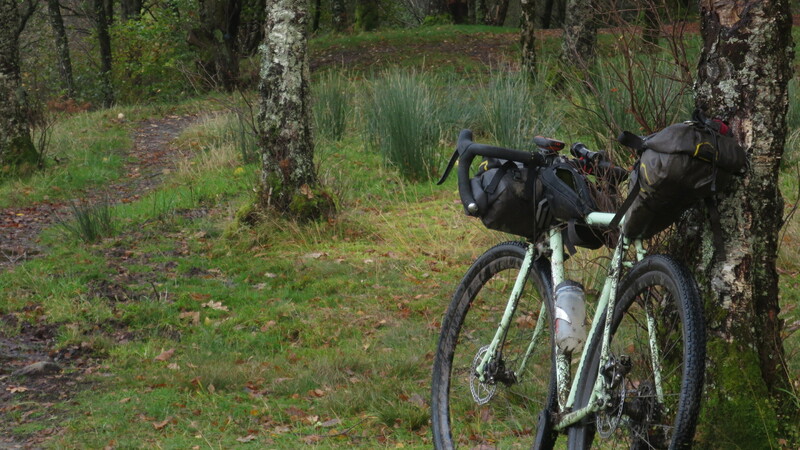 Working on the proposed bikepacking route with the Argyll and the Isles Tourism Co-Operative was the chance to develop a route suited for the bike I learned to love. Stage one of the route development was to ask riders about their bikepacking habits and preferences. With 576 responses I was positively surprised about the outcome, and with 26 countries the spread of opinions was remarkable. After having so much fun on the Straggler in the recent weeks I was deep down hoping that people are looking for a bikepacking route suitable for gravel bikes. Exactly that was the case. 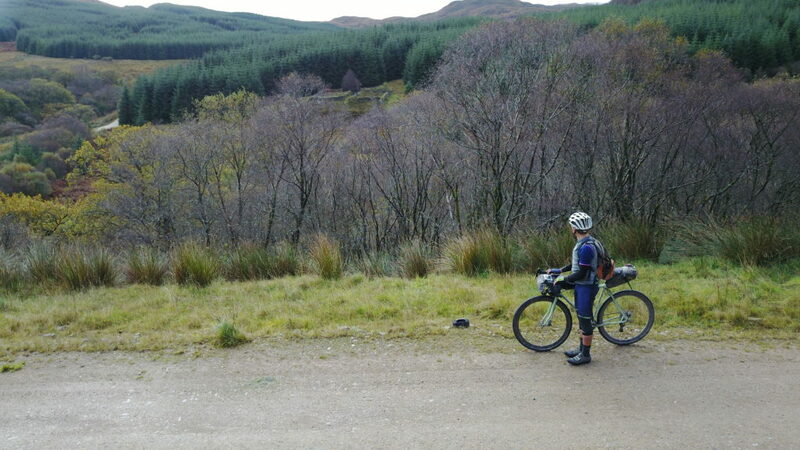 With the first survey responses flying in, I started to look at the vast area that Argyll covers, and it very quickly became apparent that it was the perfect region in Scotland to design a route for gravel bikes. Fast forward another month. The Wild About Argyll Trail is finished. 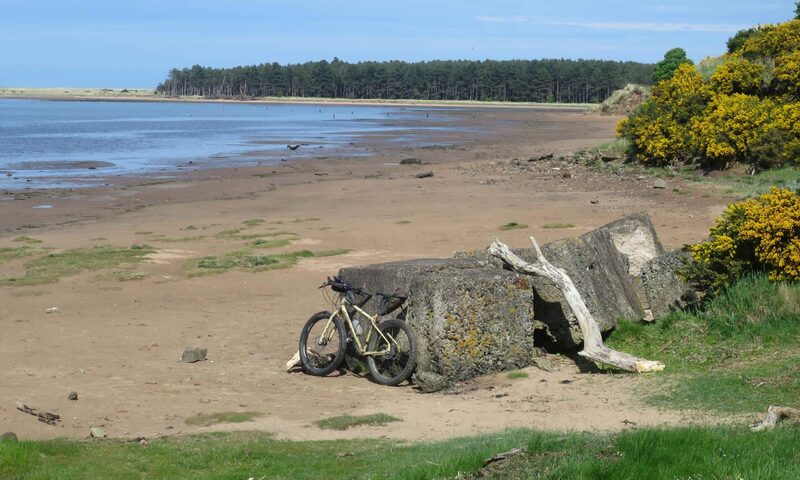 407 miles through one of the most diverse regions I have been to, Scotland’s Adventure Coast. If you got the right legs the route features just one hike a bike section, and a beautiful one at that. Puck’s Glen isn’t great to ride gravel bikes, but the stunning gorge was too good to leave out. Even when I pushed my bike through there at night I was mesmerised by the beauty. The Straggler comes with a 44t chain ring on the front and a 11-36 cassette, which made some climbs challenging, especially once the bike was loaded with bags, but I managed to ride pretty much everything. A few downhill sections needed good handling skills on 41mm tires, but the bike coped remarkably well even in challenging terrain. The brakes performed well even when riding in wet conditions most of the time. While riding in heavy rain can often be Type 2 fun, in Argyll, riding through dense, almost rain forest like woodlands, it was enjoyable. The bike is so much fun that even a bad cold and the forecast for rain from midday couldn’t stop me riding one section of the trail again after I had found a much better alternative. Before riding the Straggler I wouldn’t have thought that bikepacking on a gravel bike can be so much fun. Thankfully, I was proven wrong. Find out more about the Wild About Argyll Trail here. 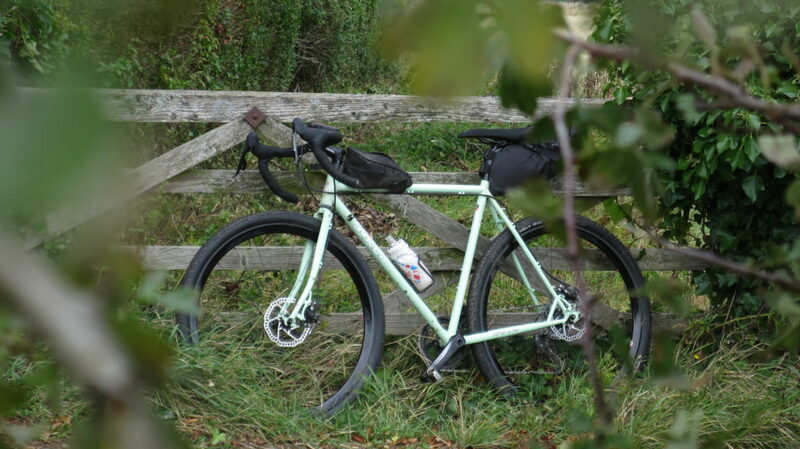 If you are interested in the Surly Straggler, click here. 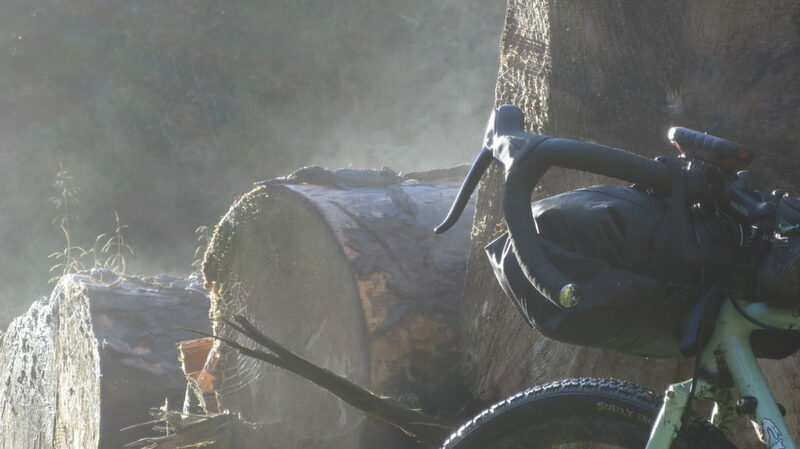 The specs for the 1×11 Straggler in the UK version I have ridden, can be found on the Ison Distribution website. Pictures by Markus & Matthias Stitz.